Joanne has worked at the Jewish Museum since November 2009, and has an MA in Cultural Heritage Studies from UCL. Previously, she worked at Arts Council England for four years, managing Arts Education programmes. She has managed and curated a wide variety of exhibitions at the Jewish Museum including shows on fine art, photography, design, and social and cultural history. Most recently Joanne curated our critically acclaimed exhibition Blood: Uniting and Dividing. It was recommended in The Guardian’s 'Pick of the Week', received a four star rating in The Independent and was the feature of a full page article in The Times in which David Aaronovitch commented 'It’s not often an exhibition in a smallish museum makes such a big point'. In 2013, the Jewish Museum London collaborated with Amy Winehouse’s older brother, Alex, to create an intimate and moving exhibition, Amy Winehouse: A Family Portrait. 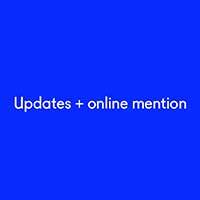 In Spring 2017, the exhibition is returning to the museum, following an international tour. 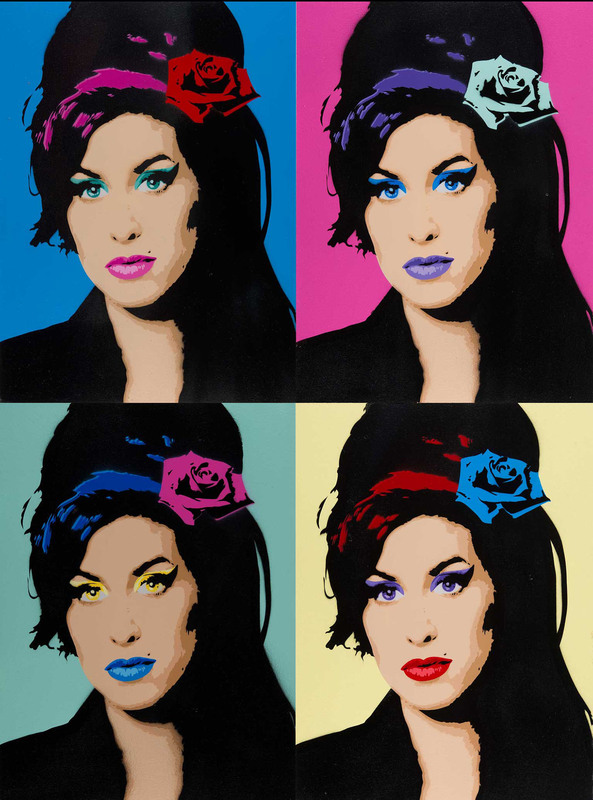 With your help, we can build on this return, celebrating both Amy’s life and the Camden that she loved, by creating a street art trail for you to enjoy. With your support, we want to work with Global Street Art to create a number of street art installations throughout the Camden Town area. Artists such as Mr Cenz, Amara Por Dios, Philth and Captain Kris will create a fantastic, colourful and diverse array of new art that will decorate the walls of Camden and celebrate Amy in their own unique style. The trail, which will be available for free from the museum’s website, will help people to explore this iconic area, including Camden Markets, local music venues and the high street which connects Camden to London’s Euston and Kings Cross stations. It will lead to a newly commissioned work by Pegasus, in the Jewish Museum’s Welcome Gallery. Pegasus is perhaps best known for Fallen Angel, an image of Amy Winehouse on the side of a Camden information centre that was whitewashed over before being repainted and ‘opened’ by Winehouse's mother Janis in December 2013. Pegasus’ new piece in the museum will accompany Amy Winehouse: A Family Portrait throughout spring. We need your support to make this project happen. Together, we can celebrate Amy Winehouse and the Camden she loved. Please help us make this happen and get some brilliant rewards in return. Our target has been lowered thanks to a generous donor! Exciting times on the streets of Camden! Make a beeline to Camden with your exclusive oyster card holder, designed for the project by London street artist Pegasus. It comes complete with a mini Camden street art map commissioned for the exhibition. Exclusive tote bag designed for the project, with new Amy Winehouse artwork by Pegasus. Receive an exclusive Pegasus tote bag and oyster card holder, plus two tickets to the exhibition in Spring 2017 (standard entry £7.50). Two tickets to an expert-led street art tour in March 2017. You'll be guided through the best street art around Camden Town, giving you an opportunity to learn more about the artists behind the work. Receive a limited-edition print and oyster card holder, plus two tickets to the exclusive exhibition opening night on 15 March 2017. Meet the artists and curators, and explore the exhibition at this special evening event at the museum. Choose from one of five colourways and receive your own limited-edition printed and stretched canvas (11x14'), hand-signed and tagged by Pegasus (we’ll contact you to confirm which colour you’d like after the campaign has closed). Plus two tickets to the exhibition opening night. Enjoy a personal tour of Pegasus’ London studio. This exclusive opportunity will offer a chance to meet the artist, learn about his practice and see some of the his famous work. Plus, receive an invite to the private view on 15 March 2017 with a curator’s tour of the exhibition and a Pegasus goodie bag.